The 1999 Constitution of the Swiss Confederation (as amended through February 2017) stipulates that human dignity must be respected and protected.Art. 7, 1999 Constitution of the Swiss Confederation (as amended through February 2017).It further guarantees the rights to life and "in particular to physical and mental integrity".Art. 10(1) and (2), 1999 Constitution of the Swiss Confederation (as amended through February 2017).Torture and any other form of cruel, inhuman, or degrading treatment or punishment are prohibited.Art. 10(3), 1999 Constitution of the Swiss Confederation (as amended through February 2017). While the Constitution does not refer to the police, it requires that the "Confederation and the Cantons shall within the scope of their powers ensure the security of the country and the protection of the population" and that they "shall coordinate their efforts in the area of internal security".Art. 57(1) and (2), 1999 Constitution of the Swiss Confederation (as amended through February 2017). 1. Weapons must only be used as a last resort. b. are strongly suspected to have committed a serious offence. 3. A warning shot may only be fired if a verbal warning is, or is likely to be, ineffective. 4. Any use of a weapon must be reported to the competent authority. The rules on use of firearms are more permissive than international law allows. They would allow potentially use of firearms against an unarmed escaping prisoner. There is no independent federal police oversight body in Switzerland. Individuals may use the ordinary courts to seek a remedy to an alleged violation of human rights arising from unlawful police use of force. establish expeditiously an independent mechanism with powers to: (a) receive all complaints concerning violence or ill-treatment by police officers; (b) conduct effective and impartial investigations and prosecutions in respect of such complaints; and (c) maintain up-to-date, centralized and disaggregated statistics on all complaints, prosecutions and convictions linked to police brutality.Human Rights Committee, Concluding Observations on Switzerland, UN doc. CCPR/C/CHE/CO/4, 22 August 2017, §29. 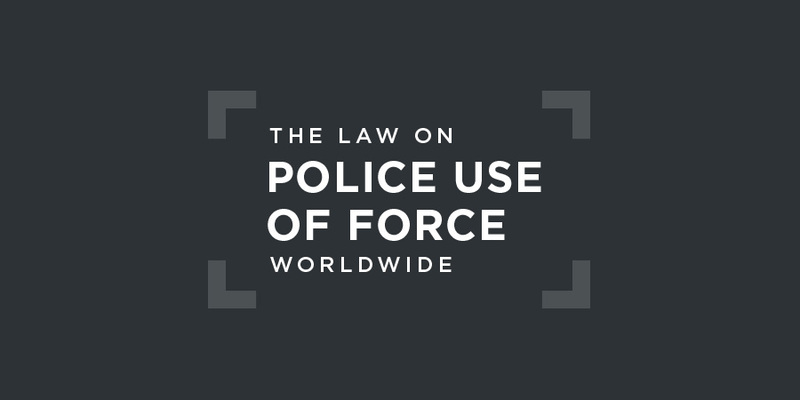 at information received to the effect that alleged cases of excessive use of force and of racist behaviour by the police and immigration services are not systematically reported to the authorities, even where there is medical evidence of injury. It also notes with concern the reports indicating the lack of prompt and effective investigations....Committee against Torture, Concluding Observations on Switzerland, UN doc. CAT/C/CHE/CO/7, 7 September 2015, §10. (d) Ensure that victims have access to effective remedies and reparation.Committee against Torture, Concluding Observations on Switzerland, UN doc. CAT/C/CHE/CO/7, 7 September 2015, §11. The applicant, Kalifa Dembele, is a Burkina Faso national born in 1975 and living in Geneva. The case before the European Court of Human Rights concerned the ill-treatment to which he had allegedly been subjected by gendarmes during an identity check and the lack of an effective investigation into the incident. On 2 May 2005, Mr Dembele was approached by two gendarmes who requested him to show his papers. He claimed that they had then hit him and had subjected him to racist abuse before pushing him to the ground in order to immobilise him. He then allegedly bit one of the gendarmes in an attempt to shake him off. Afterwards, a doctor’s report found that Mr Dembele was suffering from a distal fracture of the right collarbone. He was placed on sick leave for three weeks as a result. In May 2005, he lodged a complaint against the two gendarmes alleging ill-treatment. An initial investigation instituted by the judicial authorities into the actions of the gendarmes was discontinued. In November 2008 the Federal Court ordered the opening of a fresh investigation on the grounds that the first investigation had not been carried out in compliance with the standards of the European Convention on Human Rights. In November 2010, the proceedings were once again discontinued by the Principal Public Prosecutor. That decision was upheld in February 2011 by the Indictment Division. In September 2011, the Federal Court rejected an appeal by the applicant. The Court found a violation of Article 3 in both its substantive aspect (on account of the disproportionate use of force by the gendarmes against Mr Dembele and its procedural aspect (on account of the ineffective investigation into the incident of 2 May 2005). Switzerland asked for the case to be considered by the Grand Chamber of the Court. The applicant complained of unnecessary and disproportionate use of force duing his arrest on 4 October 2009. He further alleged that he was placed naked in a cold cell without water. With respect to the first allegation, the Swiss gendarmes had used an arm lock with a view to placing the applicant under arrest. The Court considered that this was not an excessive or disproportionate use of force against an individual that had consumed alcohol and admitted to scattering items on the road. With respect to the second set of allegations, the Court found that the applicant had not exhausted the domestic remedies available to him.